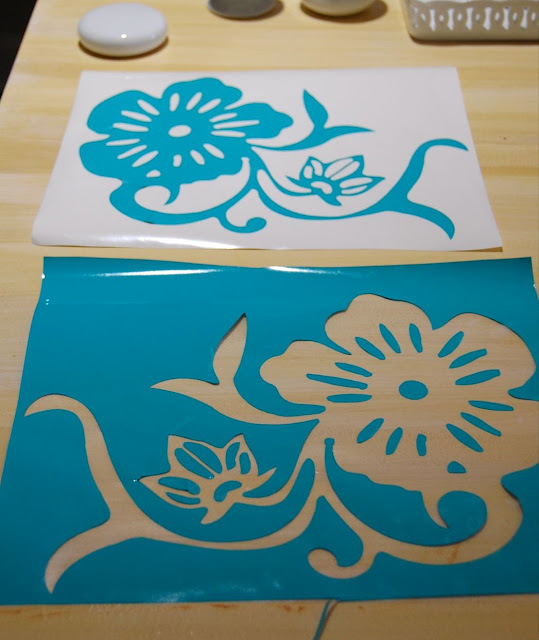 Easy Way To Stop Wasting Silhouette Vinyl and Your Money! As you guys know, I'm working on updating and organizing my Office/Craft room. The result, I am learning a TON! And the latest, I figured out when I was TRYING to take a nap... I popped up and had to try out the idea. 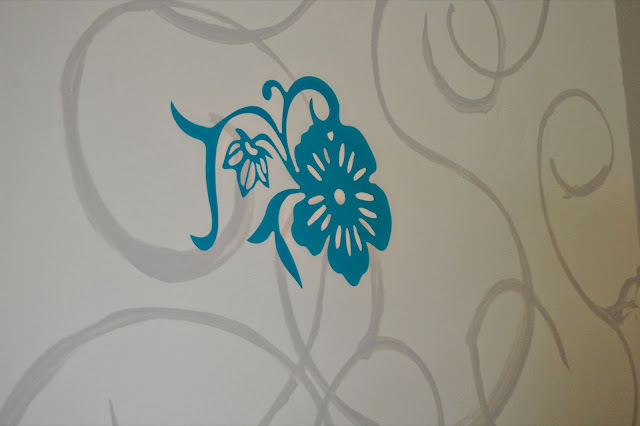 I'm completely not a fan of waste...and after wasting a roll of vinyl I found a way to make a stencil and make a vinyl wall decal so I don't waste the cutout. 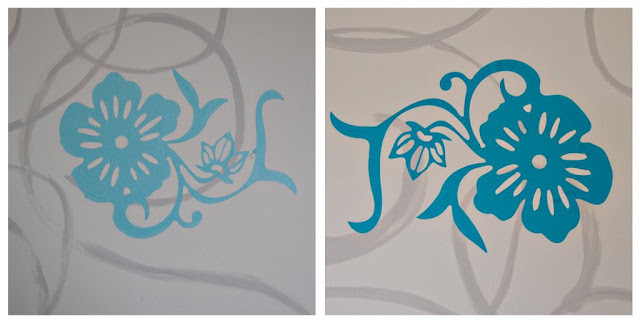 How to Stop Wasting Silhouette Vinyl and Your Money! 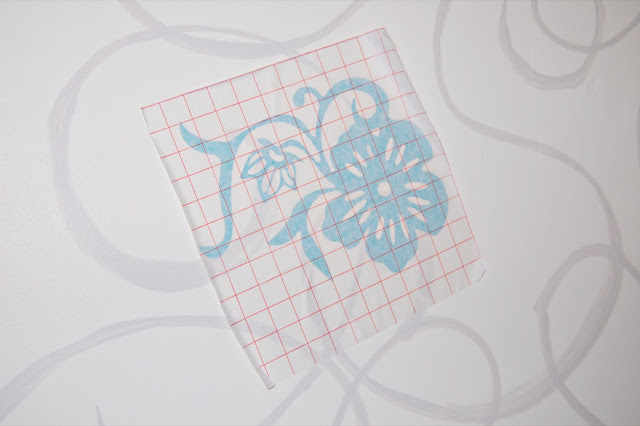 Cut the picture you want on the Vinyl (turquoise), place the transfer tape (the clear stuff on the brown paper) on top of the vinyl. 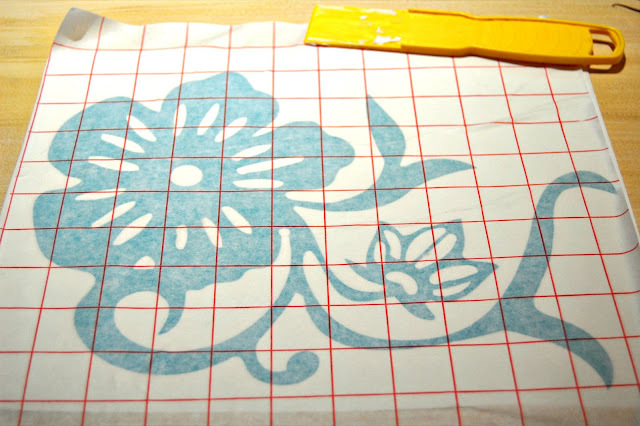 (Note: I tried this with the Stencil Vinyl so I didn't offset the Stencil Vinyl, it didn't work as well as using the Vinyl and the transfer tape (brown stuff) and transfer vinyl (red line paper). We'll start with the 1st. 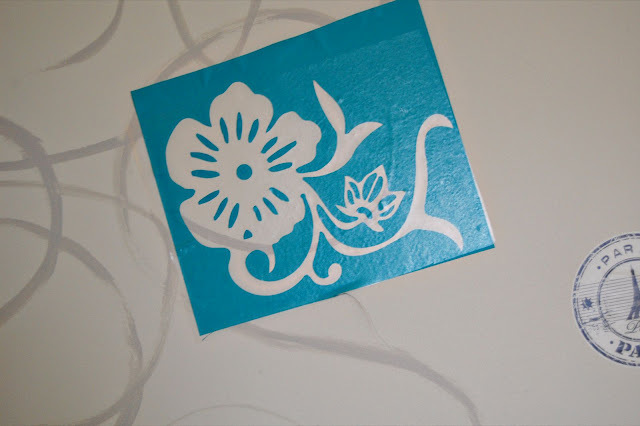 You can place the stencil on the vinyl tape right on the wall, use your scraper to make sure the vinyl sticks to the wall (note you may need the hook to make sure the little details, like the petals, stay on the wall). 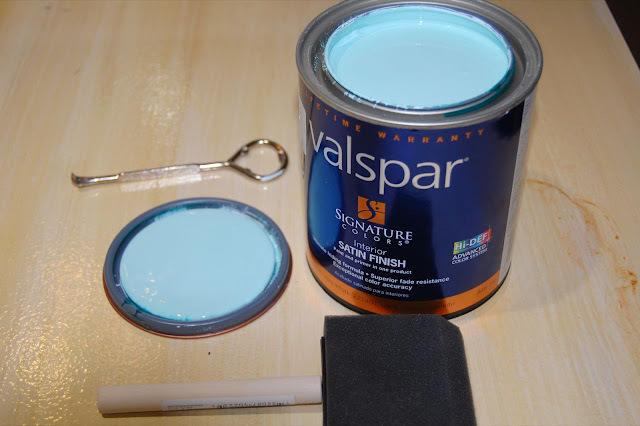 Grab your paint and paint brush! 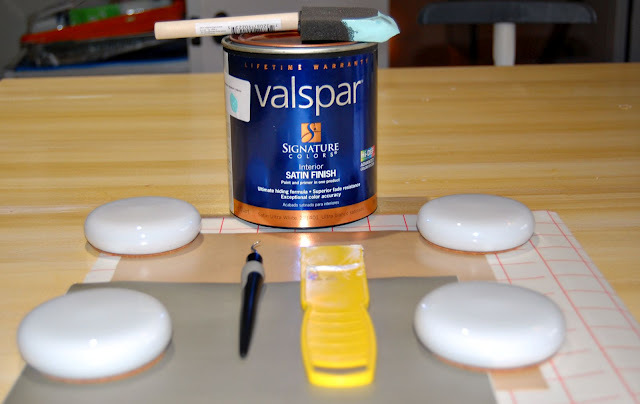 Paint the stencil in and let it dry, add a second coat if needed. 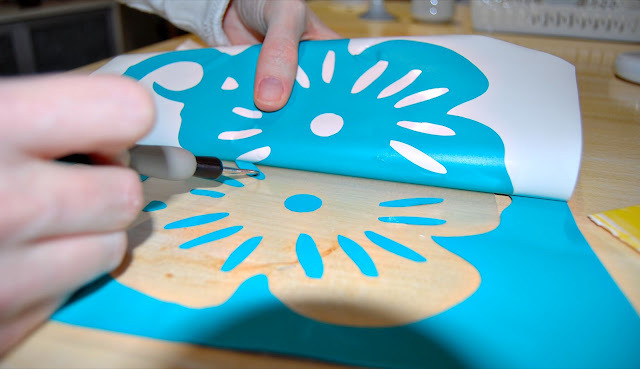 Take the other side, add the transfer paper, use the scraper again to make sure the vinyl adheres to the transfer paper. 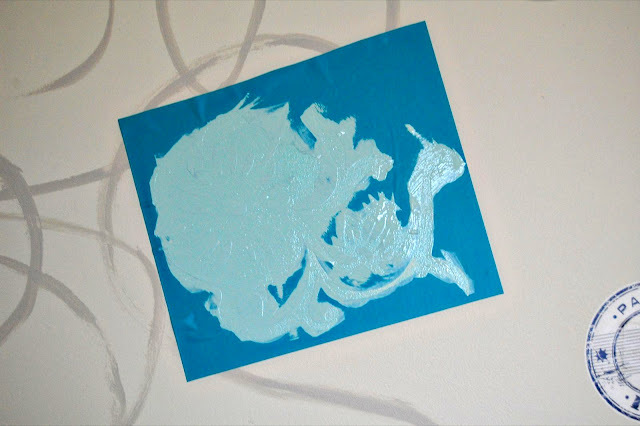 Add the transfer paper to the wall, really use the scraper and go over the vinyl (you may need the hook to help push the vinyl to the wall). 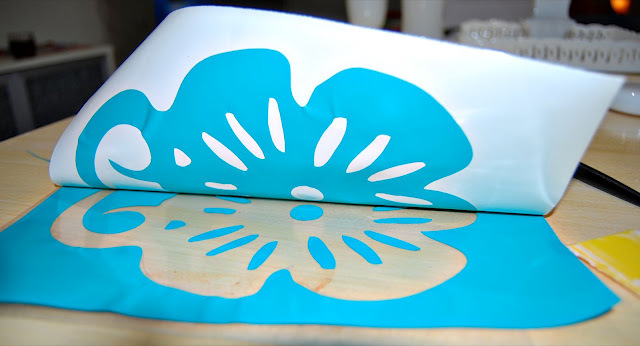 And slowly peel off the transfer paper, and voila! Here are the two methods side-by-side (please note, I used a purposely different color for the painted silhouette because I wanted it more subdued).